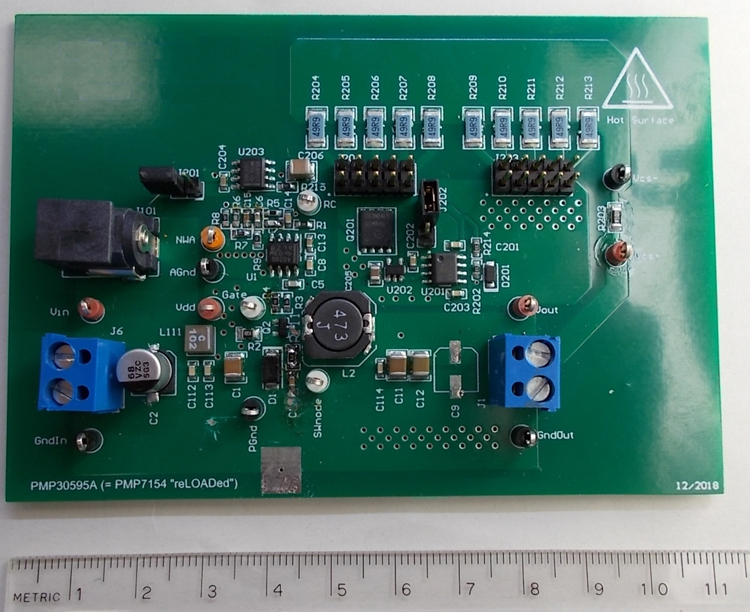 This 600W four phase synchronous boost supplies 25V @ 24A from a 6V - 16V input. 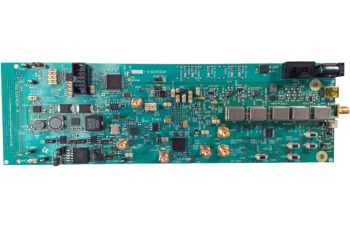 Four phase operation allows fewer input and output capacitors and better thermal balancing with surface mount components. 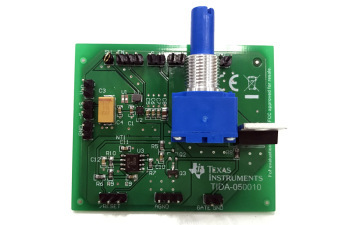 This design shows the power reduction benefits of dynamically switching a load on/off using a load switch. 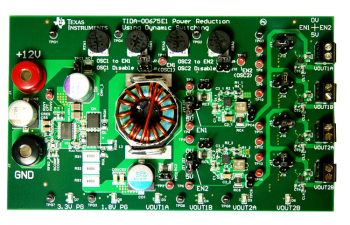 The design guide shows how frequency of switching, duty cycle, and the use of a discharge resistor can have an impact on power consumption. 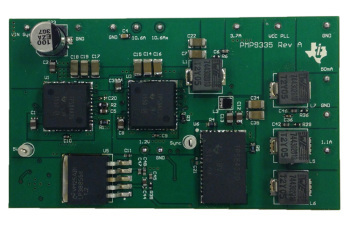 The PMP10979 is a highly efficient, multi-phase synchronous buck power module. 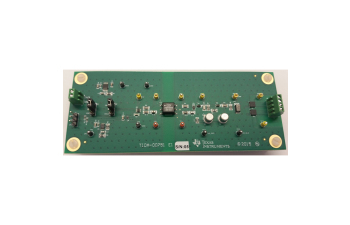 The input voltage range is 11V to 24.30V, with an output of 13.50V at 95A. The design is intended for automotive applications.